While the transition from Roman to Byzantine is gradual and somewhat fluid when it comes to political criteria, it is pretty clearly defined numismatically; In 491 Anastasius I became Emperor, and in 498 AD he introduced a monetary reform. The new system involved three denominations of gold (the solidus and its half and third) and five of copper – the follis, worth 40 nummi, and its fractions worth 20, 10, 5 and 1 nummus. The obverses featured a highly stylized portrait, while the reverse featured the value in Greek numerals; M=40, K=20, I=10, E=5. 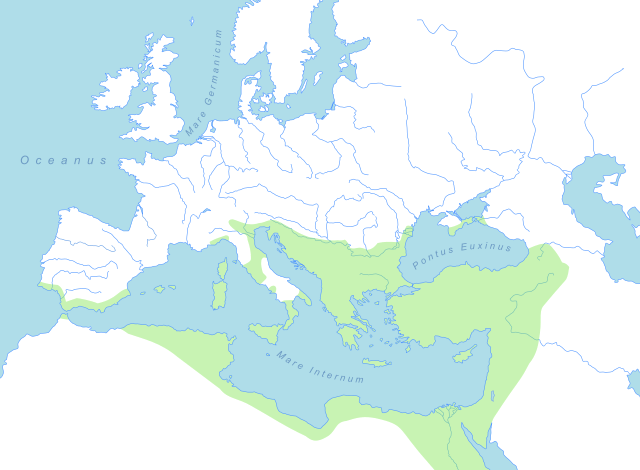 Politically this period covers Anastasius and the Justinian Dynasty, and was characterized by efforts to reclaim lost territory – North Africa, Illyria, southern Spain, and Italy. The last Justinian emperor – Maurice – managed to make himself unpopular enough to trigger a revolt which cost him his life in 602 AD, and triggered a series of cataclysmic events which would undo the progress of the last century.